December 2008 was the last time I was in western Utah. 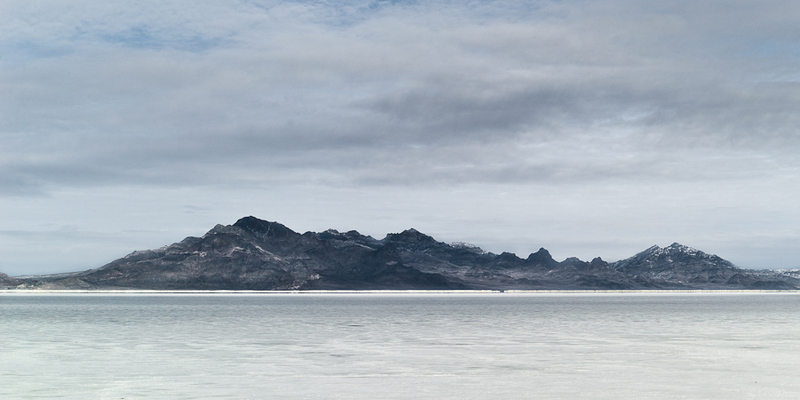 Took a day trip from SLC out to Wendover to check out the Bonneville Salt Flats. The rocky outcropping in the image is called Floating Island. Next time I’ll get a bit closer to the craggy pointy bits. Any one know if you can drive out there? I pulled this image up for the blog as I’ll be visiting the area again tomorrow. I’ll be traveling with a group of Nissan Xterra owners through the western desert of Utah following the old Pony Express Route. Our drive ends in Wendover and I am hoping to have time to photograph the Salt Flats again. A ha! You do know of the flats! Yes, there is a road to get out there, you take exit 4 and head north towards the Sinclair gas station, the one that looks like the set of a horror movie. Stop at the little cafe that is adjacent to the gas station for amazing food, and then keep going north. You’ll loop into the road through the state park. The little cafe is The Salt Flats Cafe, as reviewed on Yelp. Great photos of a top spot. I love the composition and monochromatic colours on this image, Beautiful!